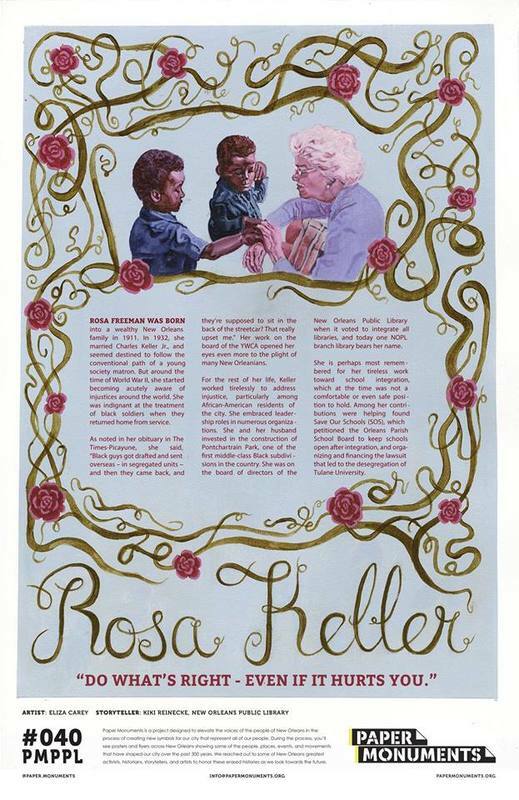 Paper Monuments Poster #040: Rosa Keller worked tirelessly to address injustice, particularly among African-American residents of New Orleans following World War II. Rosa Freeman was born into a wealthy New Orleans family in 1911. In 1932, she married Charles Keller Jr., and seemed destined to follow the conventional path of a young society matron. Her work on the board of the YWCA opened her eyes even more to the plight of many New Orleanians. For the rest of her life, Keller worked tirelessly to address injustice, particularly among African-American residents of the city. She embraced leadership roles in numerous organizations. She and her husband invested in the construction of Pontchartrain Park, one of the first middle-class Black subdivisions in the country. 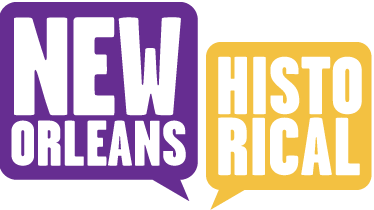 She was on the board of directors of the New Orleans Public Library when it voted to integrate all libraries, and today one NOPL branch bears her name. Keller is perhaps most remembered for her tireless work toward school integration, which at the time was not a comfortable or even safe position to hold. Among her contributions were helping found Save Our Schools (SOS), which petitioned the Orleans Parish School Board to keep schools open after integration, and organizing and financing a lawsuit to desegregate Tulane University. Paper Monuments, Kiki Reinecke, Narrative, and Eliza Carey, Artwork, “Rosa Keller,” New Orleans Historical, accessed April 19, 2019, https://neworleanshistorical.org/items/show/1443.